The Western Drama Festival Committee would like to extend a heartffelt welcome to drama groups, sponsors, patrons and visitors joining us in Tubbercurry for our either our full-length or one-act festival. Tubbercurry (Tobercurry) is the second largest Town in County Sligo. 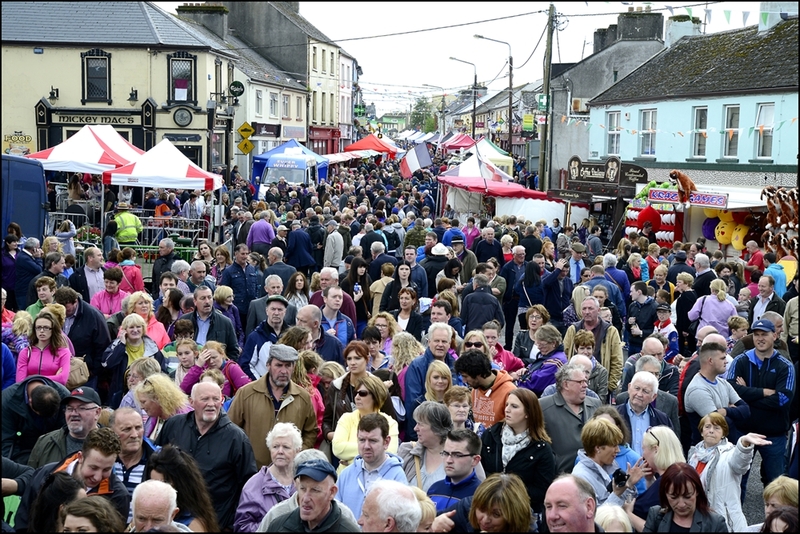 Tubbercurry meaning the Well of the Rock boasts many traditions and continues these traditions with festivals and events held every year. Tubbercurry has a strong heritage of Drama and Music with the South Sligo Traditional Music Summer School held every year in the month of July. The Drama Festivals (full length in March and One-Act in November) are held in one of the Towns famous landmark’s St, Bridget’s Hall Theatre, opposite the ever popular meeting spot, “the Town Clock”. The Old Fair Day, held on an annual basis in August brings together the past and present traditions of the area. These events attract many visitors to the area, and are events not to be missed. There is a strong emphasis on Culture in the Tubbercurry area. Tubbercurry is located just beneath the Ox Mountains, which boasts some of the world’s most beautiful scenery with sporting events taking place in the area that includes: the annual Walking festival, St. Patrick’s Day 10km Road Race. Not to mention the many sports available to play in the area, with Gaelic Football and Hurling a strong tradition, this only builds on the community spirit which is evident in the area. Should you fancy a round of golf, a game of soccer or head out to Lough Talt for some Water Sports, Tubbercurry really does have it all. The area is the home of the Tool Making Industry in Ireland and Tool & Guage (established in the 1950’s) was the first contract tool room in Ireland and continues to trade. 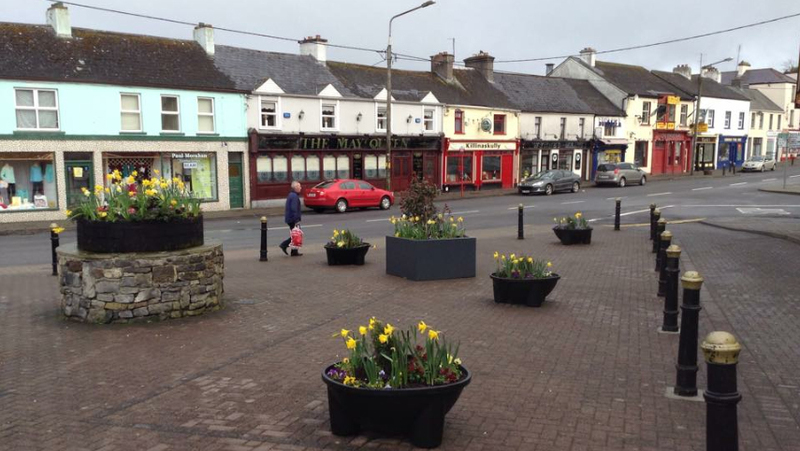 Today the vibrant business community, work together to ensure Tubbercurry is an ever popular trading town. Situated on the N17 (34km South of Sligo City), Tubbercurry is easily accessible by road and air with Knock Airport only 20km away. The town is located only 30km from the Wild Atlantic Way, a sensational journey of soaring cliffs and buzzing towns and cities, of hidden beaches and epic bays. From surf spots to mountain tops, Sligo is the place where you can set your spirit free and indulge in the culture, music and history that roam its dramatic landscape. The wild atlantic waves have sculpted the coastline and created some of the best surfing spots in Europe while on the more tranquil lakes and rivers, anglers and kayakers can be found. A stroll or a gallop along one of the many beaches will enliven your sences with the fresh salty air. Historical Sligo is evident in the many archaeological sites dotted around the county with the largest one, Carrowmore, outdating the Egyptian pyramids. Having spent much of his life in Sligo, the poet W.B. Yeats captured the essence in his much loved poetry with words from The Lake Isle of Innisfree “And I shall have some peace there, for peace comes dropping slow”. Sligo was the famous poet’s ‘Land of Hearts Desire’, the countryside in which he grew up and which inspired him well into old age. It is just as poetic today. The Arts are very much alive in Co. Sligo with The Blue Raincoat Theatre Co, The Hawks Well Theatre, The Model, The South Sligo Summer School and The Western Drama Festival along with the many art galleries and craft makers. Traditional music has deep roots with famous musicians like Michael Coleman and James Morrison leaving a wonderful legacy for us all to enjoy.